Ours go to 11. Millimeters, that is. 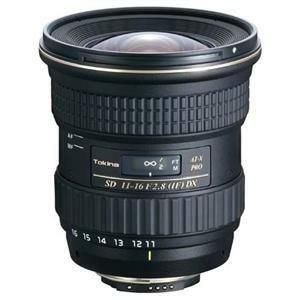 This Tokina 11-16mm f/2.8 zoom lens will fit EF and EF-S mounts, although it vignettes on full frame cameras at wider than 16mm. This is a great lens to capture action and events up close. It has modest barrel distortion but it’s definitely not a fisheye. Autofocus performance is excellent, and you can pull the focus ring for manual focus with a hard infinity stop, great for video shooters. We love this lens paired with a jib or slider dolly for sweeping wide shots. A great option for landscape shooters, its sweet spot seems to be around f/11. For shooters who would rather have a manual lens, the Rokinon 14mm should be considered. If you are shooting on a smaller sensor like the BMCC, BMPCC, or MFT cameras, this lens is a must-have for its focal length, speed, and great optics. Don’t forget you may need an EF lens adapter. The Tokina has 77mm front threads. 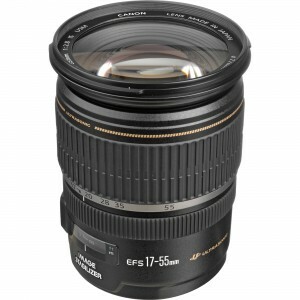 This lens pairs really well with the Sigma 24-60mm f/2.8, with the same maximum aperture, filter size, and weight. 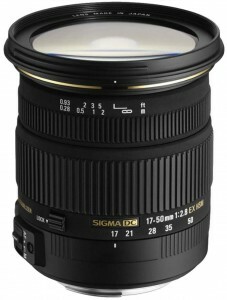 If you’re considering this lens for fullframe, you might also want to consider the Sigma 20mm f/1.8. It’s a bit sharper, 1 1/3 stops faster, with less distortion, and just a touch less wide. The Rokinon (or Samyang) 8mm T3.8 HD fisheye is a cinema-geared prime lens for cameras with Super 35mm and smaller sensors and EF or EF-S mounts. Larger sensors will show vignetting. This lens is incredibly wide, with a modest amount of fisheye distortion. 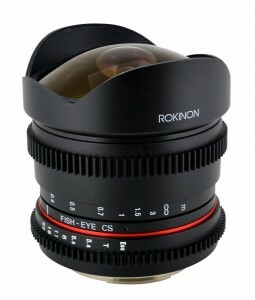 This is the cine version of the Rokinon 8mm f/3.5. 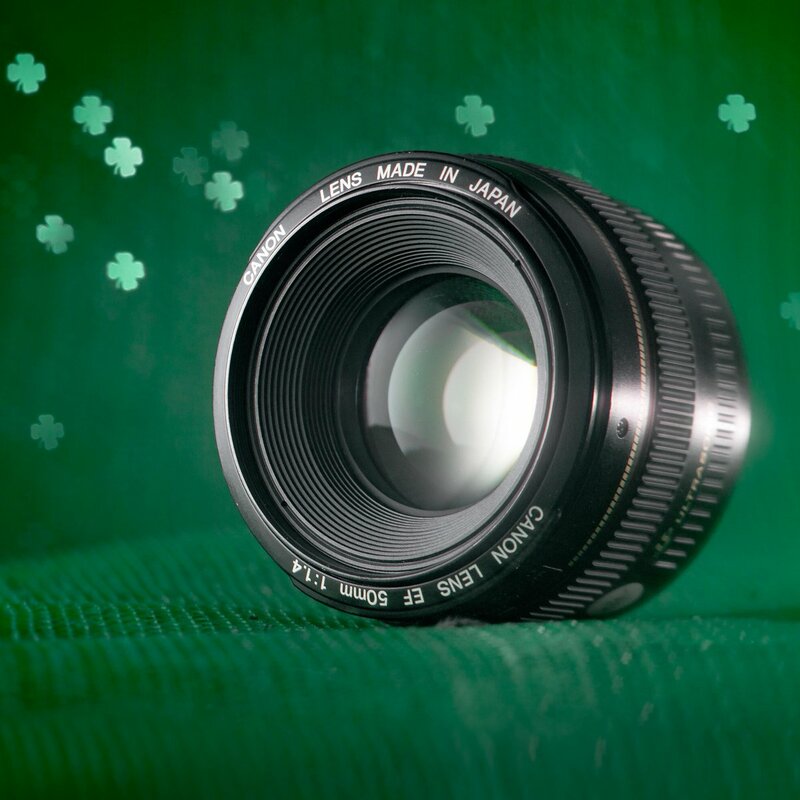 The cine lens features a de-clicked aperture and cine gears for easy use with a follow focus. The Opteka 6.5mm f/3.5 HD fisheye is an extreme wide-angle lens that produces an edge-to-edge image on an APS-C sized sensor. We know of (very few) lenses for Canon that are wider, but they are circular fisheye lenses. This lens is really, really, obscenely wide. Straight lines will appear bent, and perspective is extreme. This lens is best suited to specialty applications, like comedic perspective shots and Beastie Boys music videos. Performance-wise, this lens performs reasonably well, considering how extreme it is. If it’s not using the same optics as the Rokinon 8mm f/3.5mm, it’s close enough that we couldn’t tell in quick comparison testing. The lens is an EF mount, so it will fit on a fullframe camera like the Canon 5D series, but it will function as a circular fisheye (the corners of your image will remain black). The lens is fully manual, with aperture and focus controls on the barrel. Focus is nearly irrelevant on a lens this wide, with a hyperfocal distance of about 3 feet wide open. The lens hood is detachable. The lens lacks front threads, so round filters are not an option. This lens is designed to work with any crop-factor Canon DSLRs, such as the T-series, 7D series, 60D, 70D, etc. 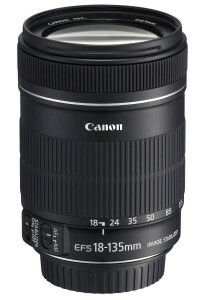 The Sigma 18-35mm f/1.8 zoom lens for Canon is the fastest zoom lens available for DSLR and mirrorless cameras. 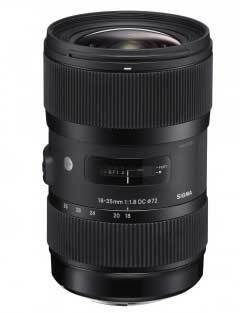 Part of Sigma’s Art line, the lens is one of the best-reviewed zoom lenses for photo and video, ever. It is designed specifically for crop (APS-C) sized sensors, and will not work with larger, full frame cameras. 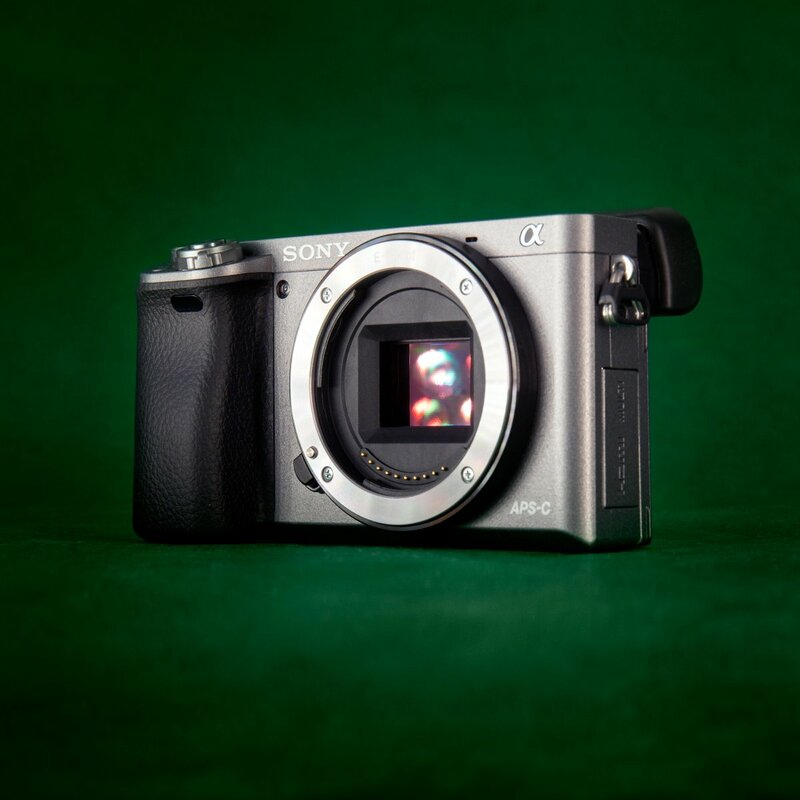 This ultrafast zoom is perfect for shooting indoors and at night. The wide-angle to medium focal length is well-suited for architecture and landscape shots. An HSM motor provides fast, silent autofocus for photo and video. Like all Sigma Art lenses, it is compatible with the Sigma USB Dock. 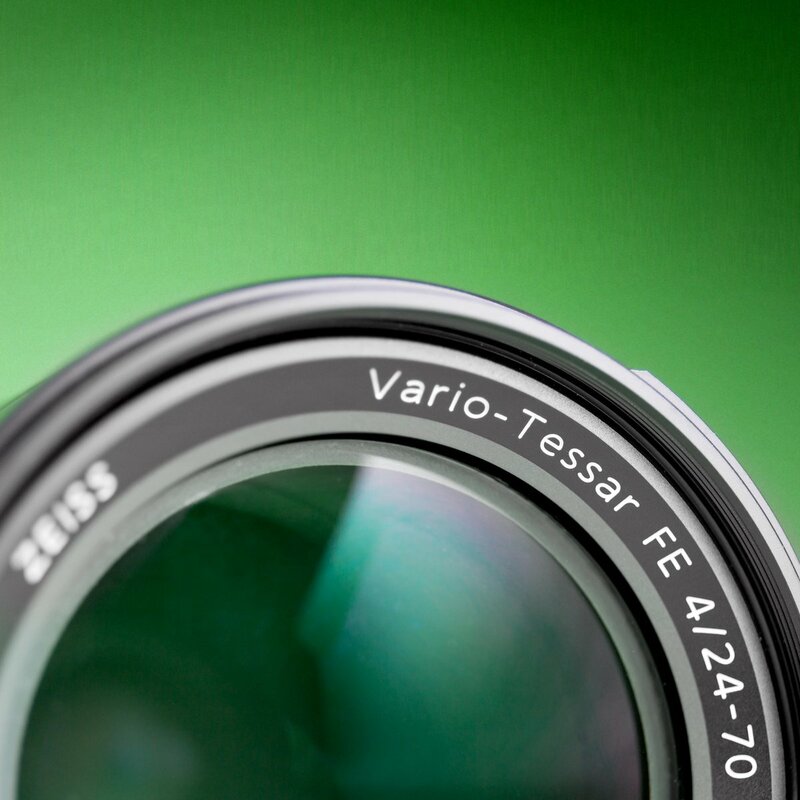 The lens has 72mm filter threads and close focuses to 11″. Canon’s 18-135mm f/3.5-5.6 IS zoom lens is a natural choice if you need an affordable all-purpose zoom lens on a crop-factor camera. 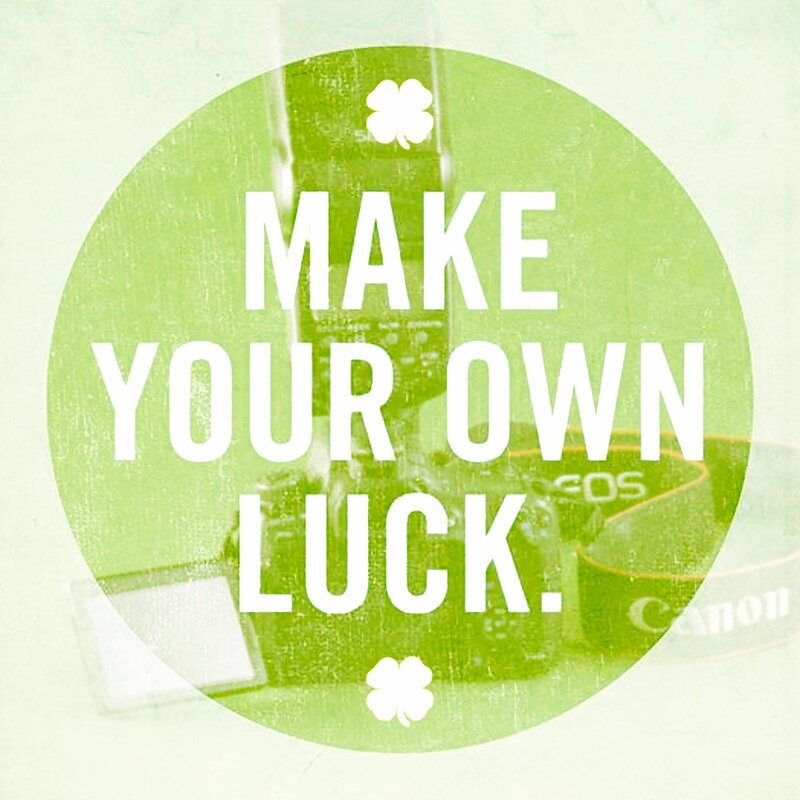 The image stabilization helps with both photo and video shooting. The lens is definitely an upgrade from Canon’s 18-55mm, with more than twice as much zoom range. This lens works only with crop factor cameras with EF-S mounts. For a full-frame camera, we suggest the Canon 24-105mm f/4L instead. 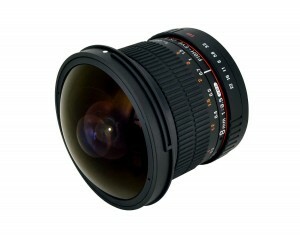 The Rokinon (or Samyang) 8mm f/3.5 HD fisheye is a prime lens for cameras with EF and EF-S mounts. 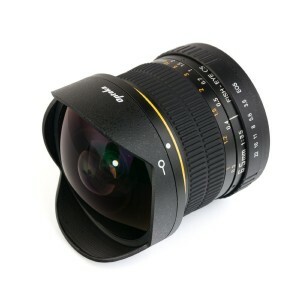 This lens is incredibly wide, and bends straight lines around the center of the lens in dynamic and interesting ways. The extreme wide-angle is most popular in sports, action, and music videos. The lens is fully manual, with aperture and focus controls on the barrel. The imaging circle will cover an APS-C size (1.6x crop-factor) sensor completely, but fullframe cameras will fall off to black in the image corners. This 8mm is also a nice wide option for smaller-sized sensor cameras with EF mounts, like the Blackmagic Cinema Camera.